Jackson Bruck and the Dukes of Hume have had one busy year. 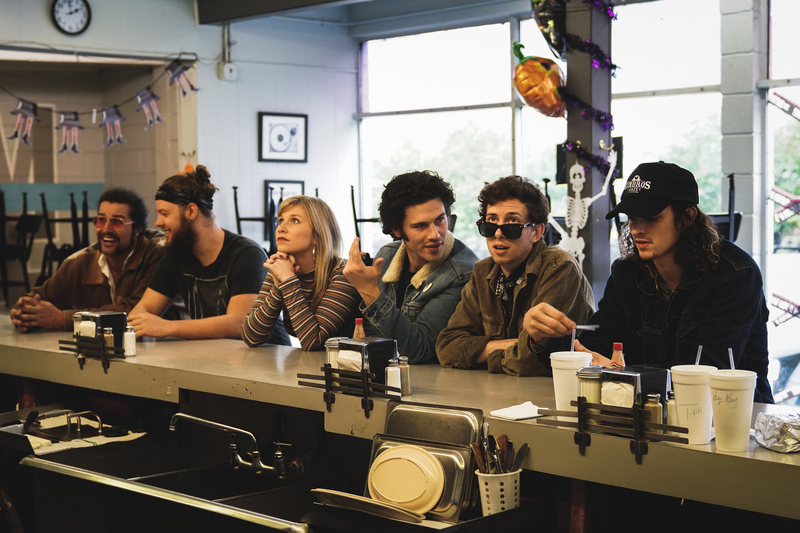 Winners of Music City Mayhem 2018 and recent Live On The Green alums, their new single “Right Where I Want You” is ushering in a new era for the band. Described as “Old Soul Rock & Roll” for a new generation, the Dukes hope to revive the rock & roll concepts that made the classics so great. The band “just sort of came together” about a year ago. Jackson says, “You talk about things that don’t make sense, but they just work.” He met lead guitarist Corky Clouse after watching his band play a set, and they bonded over the rock & roll greats that made them fall in love with music. Eventually, they’d recruited a full band, including Bruck’s little sister Jacy. Half the members had been considering giving up on Music City, but the band gave everyone a reason to stay. As part of their Music City Mayhem win, AGD Entertainment funded and organized a music video shoot for the band. Austin Huelsbeck directed, filmed, and edited the video. “Our band is a true cast of characters, and we wanted something that reflected that”, Bruck said. They wanted something quirky, light-hearted and fun. The result was an eclectic mix of The Brady Bunch, Batman, and Twilight Zone influences. The result is a video that perfectly captures the band’s infectious fun. Some of Bruck’s fondest memories are of his parents blasting artists like Bruce Springsteen, John Mellencamp, Steve Winwood, and The Wallflowers in their house. Bruck was raised on rock and roll, but it wasn’t until college when he truly heard it for himself. “The moment rock & roll made sense to me, I was driving with the windows down and the outro of ‘Thunder Road’ started playing. They bring in this horn section, and it becomes this absolutely triumphant thing, and I felt that feeling people talk about…of being invincible”. He slipped down the rabbit hole of classics, including Seeger’s greatest hits, Van Morrison, Cat Stevens, CCR, Tom Petty, The Stones, and more. Bruck also emphasizes the value of being “timeless”. “If you’re chasing trends, you’re always gonna be a little late to the party,” he says. “I want there to be this sense of, ‘is this from 20 years ago, current, or 20 years in the future?’.